Whew, this was a big step in the right direction. 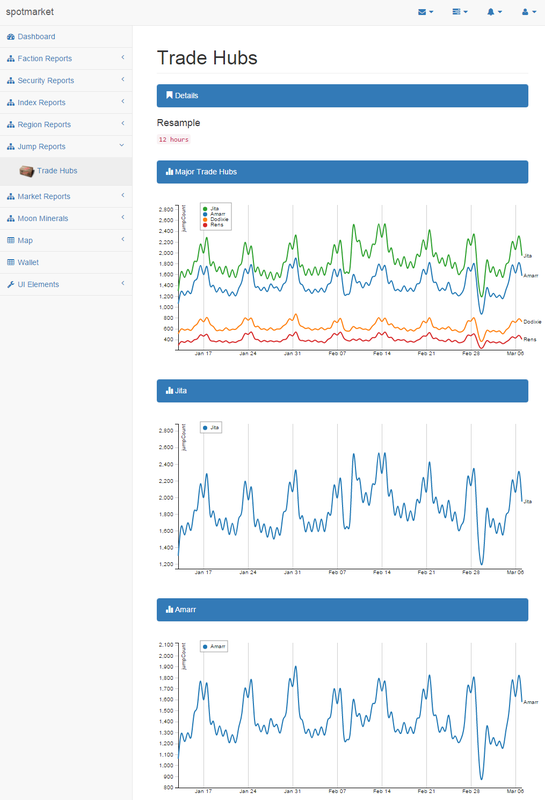 I added a lot of sanity (keep everything in UTC), usability, and cleanup to the existing design. 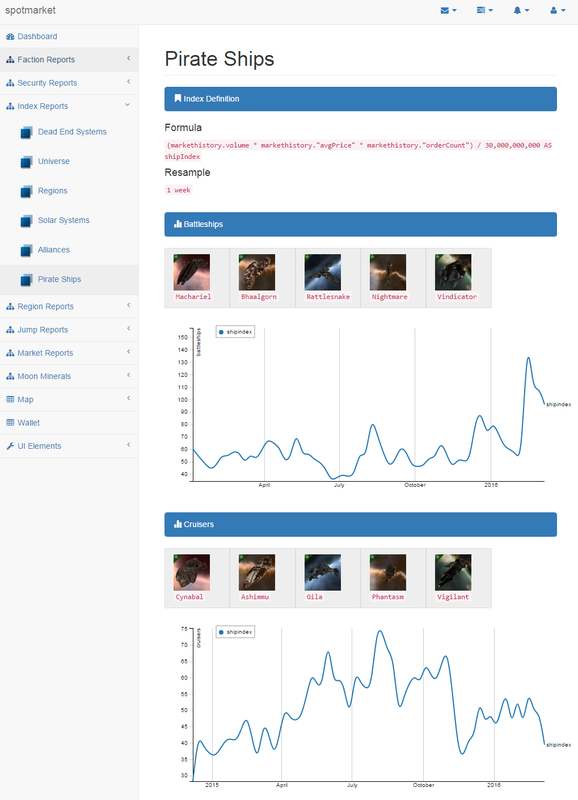 We’ve got moongoo, the beginnings of indexes, and CREST killmail data now flowing in to the growing dataset. The backend was improved by migrating to PostgreSQL 9.5.1 and I also cleaned up the install directions to try to make it easier. It is no secret that I have an affinity for finding accurate moon data. In a previous post, I’ve gone so far as to chart the regional density of each moon mineral, showing that there were built in skews as to where each type was placed for each class (R8, R16, etc). 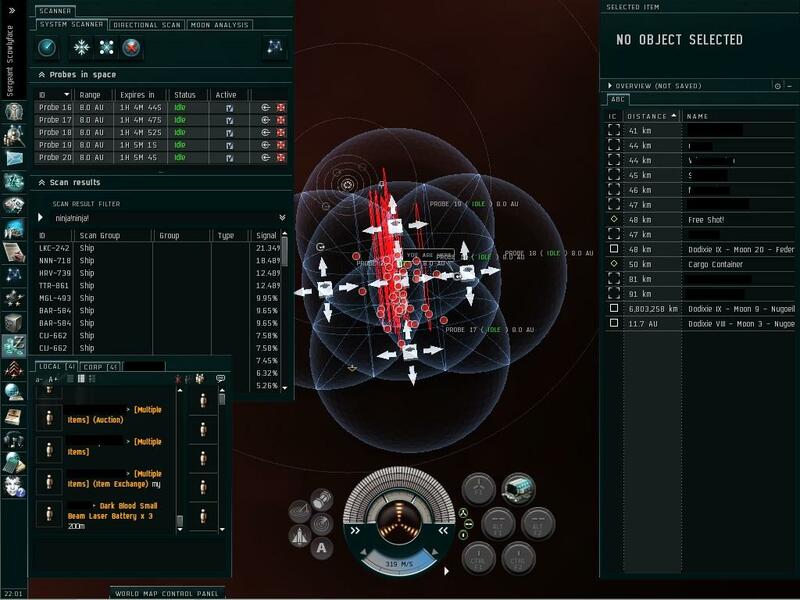 In the Rubicon expansion, CCP introduced siphon units, which can be anchored near a POS to slowly leech items from within the shields. When an extractor is destroyed the killmail will show what moon mineral was in it. This, combined with the x,y,z location data that started to be exposed after the Parallax expansion, can be used to locate the nearest celestial object to give us a verified report of what moon mineral is contained in the object. I gathered some examples for anyalisis, and over a long flight, I started to put some code together to use killmail x,y,z coordinates to parse CREST killmails. After implementation and testing, it has proven to be accurate so I’ve included the feature in this release. 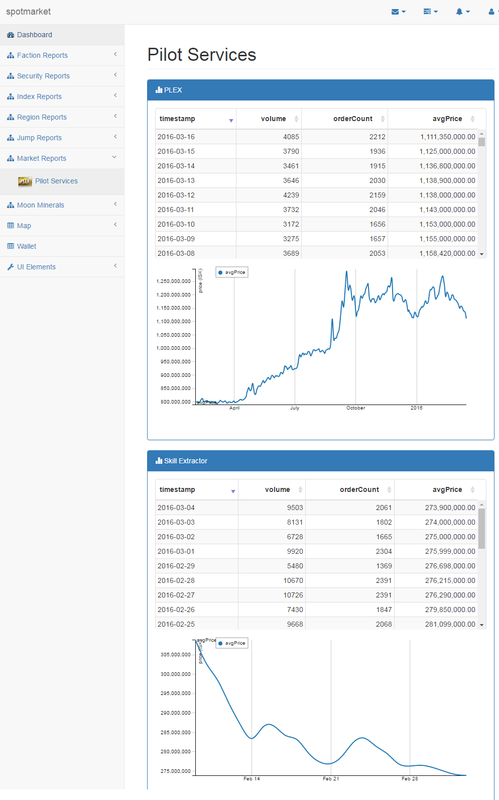 There is a manual step to get the moon mineral data into a table where it is used in the web frontend; I wanted to keep them separate to isolate the two datasets. Rather than writing a parser for CREST killmails, I decided to store the JSON itself for simplicity. Developing on 9.3 with the json datatype proved to be a path that I did not want to go down. 9.3 is not the prefered version and lacked support for a fancy datatype inherit to 9.4+ and above. The following blog post also convinced me to migrate. 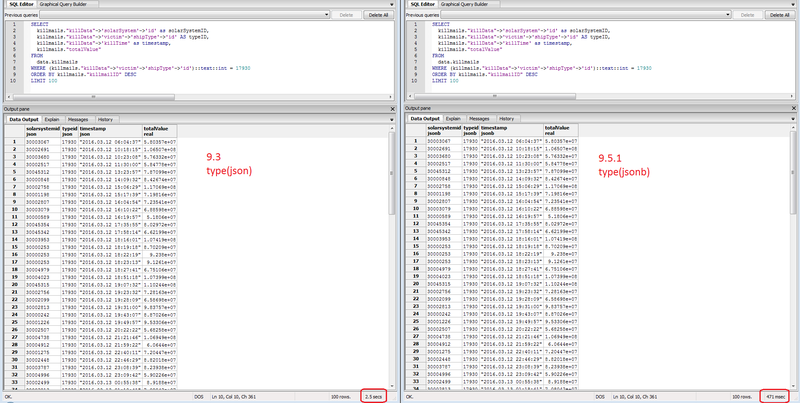 The proof is in the numbers so here’s a side-by-side comparison of the same query on the same dataset with only the datatype being different. The two virtual machines also had access to the same amount of CPU and RAM to control the results. This query was proof enough that I made the right choice. Later that night while checking my logging table, I also noticed an improvement in insert speed. Not bad for about 45 minutes of testing and correcting install instructions. What’s up for the next release? Check out the TODO.md for a full list of items slated for each release. 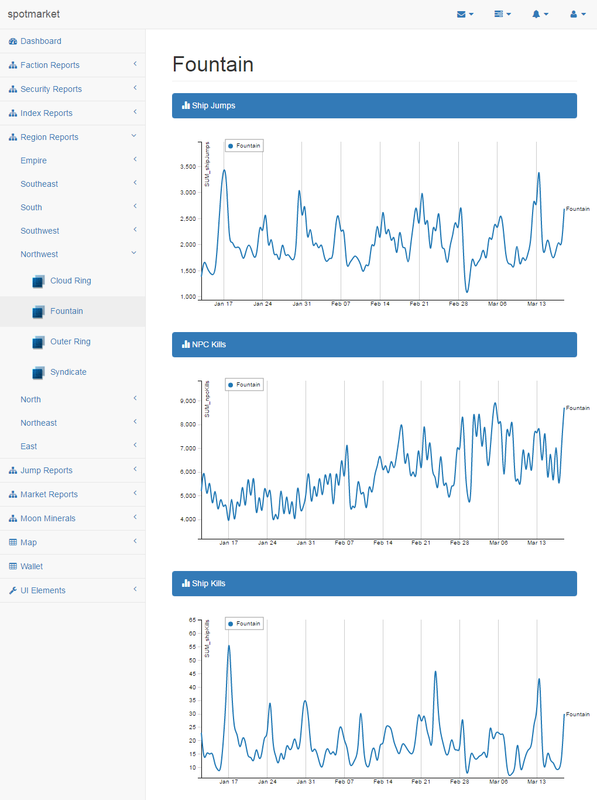 The main focus is going to be putting more control in the web front end, letting you enable/disable import items, add item to the market/zKillboard watch list, etc. 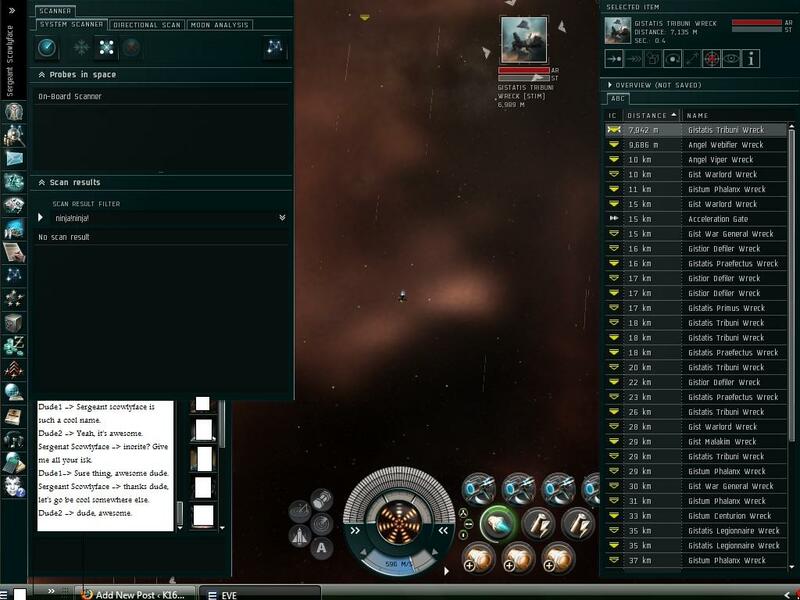 This guide is indented to use a Highsec mission hub as a trading example. I wanted to use a concrete example and disclose methods that I have developed over the past few years on how to seek out items to trade. Every trader has a technique, and I am no different. The following process is meant to guide you through the technique of selecting an item and gauging its profit potential. Every market is different so you need to due your due diligence. For mission runners you might want to look at common mission ships such as the Raven or Dominix. Think about the entire package beyond the ship. Mission runners will need ammo, rigs, drones, and salvage equipment. 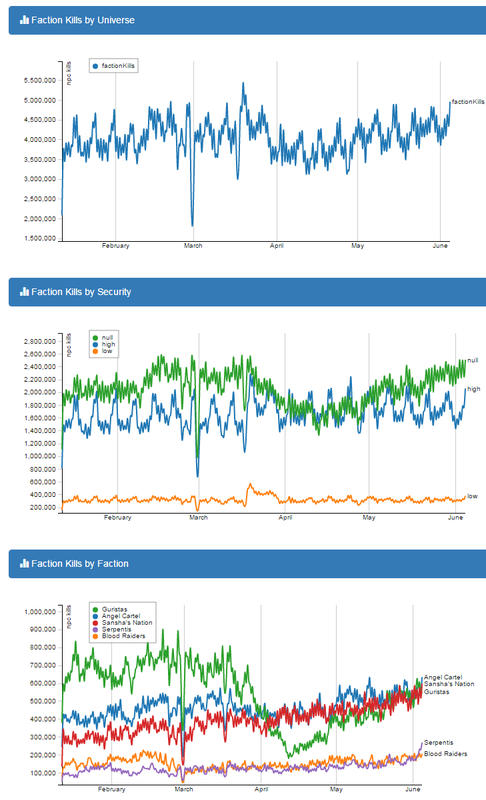 In a PVP market, you will want to take a look at High Volume PVP Items. For this trading example I picked a very common item. Almost all pilots have, at any given time, a Cybernetic Subprocessor of any grade in their head to improve training time. The purpose of scanning the market window is to give you a ‘feel’ for the item. Is obvious manipulation attempt obvious? Is the volume so low that you should not bother trading the item? Using this tool will help you weed out the error prone trades and focus your efforts. I have a long list of items to browse through ranging from modules, ships, ammo, to even special high meta items. When you have 200 items to review, you should only be spending 5-10 seconds on each item to get a feel for the market. Quickly work down through your Quickbar in both regions, comparing results. The Jita price has been rather stable over the past few months. Yes, there was a price increase from ~6.5 to around 8 M but remember that LP payouts were adjusted in a previous patch so I would not worry about the price raise to 8. Consider it a patch market blip. The market in Dodixie is more volatile, as expected; a smaller group of traders is stocking the market and trying to make a profit. 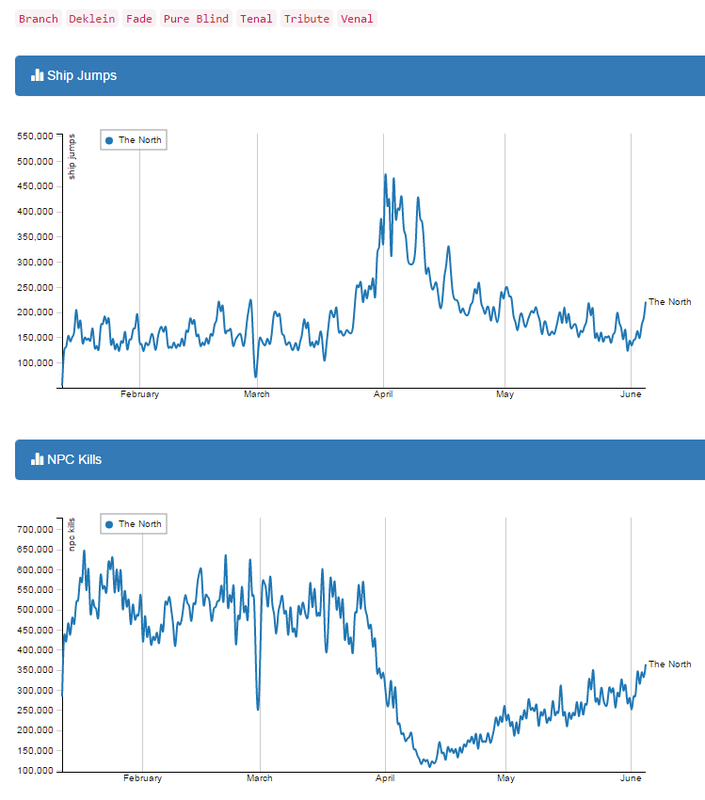 The range and period of the price waves don’t seem to bother me. Rough guesstimation shows that around 50 move a day in Dodixie with larger spikes when traders are buying out the market to raise prices. You can clearly see two major spikes in the Dodixie market where the price was ‘reset’ as I call it. 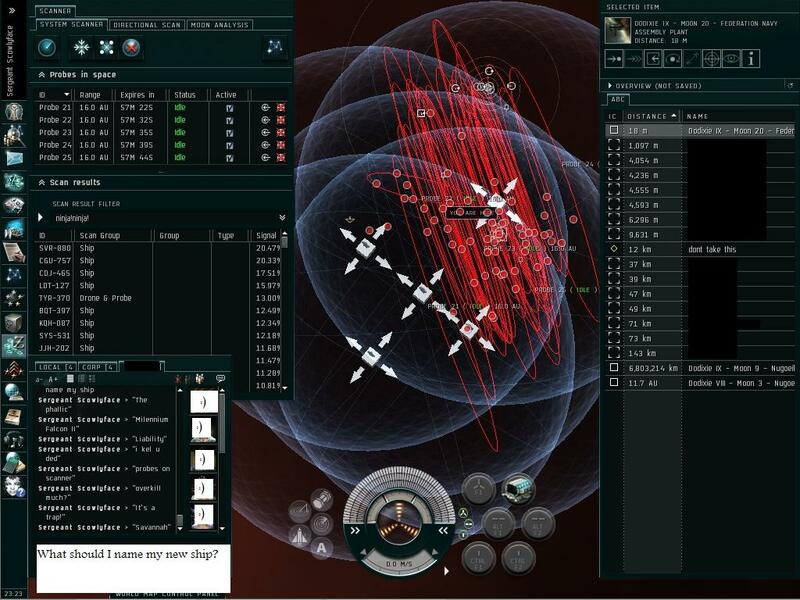 This is normal behavior and I see it across the board in Highsec, Lowsec, and Nullsec. A larger trader will buyout all the items to a certain price threshold and then attempt to sell off stock at that newly established price. If your items were bought out at a profit, then you can ride the wave and restock at the new price hoping that it doesn’t crash back down (I’ll detail this process later). Both the trends and volume pass the sanity check for me on this item. At this point I would look to use further tools to gauge profit potential. Since our implant passes a sanity check, you can move on into more number work to see the item’s true potential. 1. Cut and paste a month worth of history from Eve into Excel. Ignore the most recent trading day as the numbers are not final and will throw off your calculations. 2. Do a find and replace on “ISK” to “” to get that extraneous text out of your sheet. 3. Adjust column size and add column headers. You should have something that looks like this. 1. 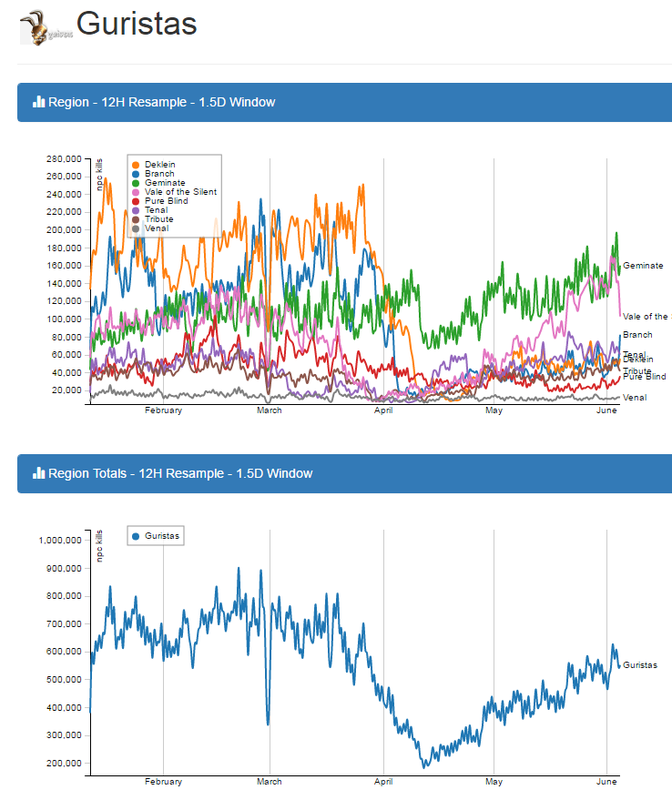 If you SUM the Quantity column, you can get a view into how many move in the region in a month. For this implant we are are looking at 1,702 items/month. This figure will help you estimate how much you should buy at your source system. Based on your scale, you can buy a full month of items or small increments as liquidity allows. Since a full month of implants to stock this region would come out to 13.694 B at Jita sell prices, you will opt for small portions. 3. The region potential doesn’t show you the volume in the system that will be your focus. For this you look at the Market Data tab to see where the orders are located. We can see that the majority are concentrated in Dodixie with a smaller concentration located in Bourynes. This informs me that the majority of trades are going to be concentrated in the Dodixie IX – Moon 20 station. This is where you should setup shop. Hopefully my method will help you see how to operate and fine tune your operation. I haven’t touched on logistics or item diversification — I have to save topics for other posts.